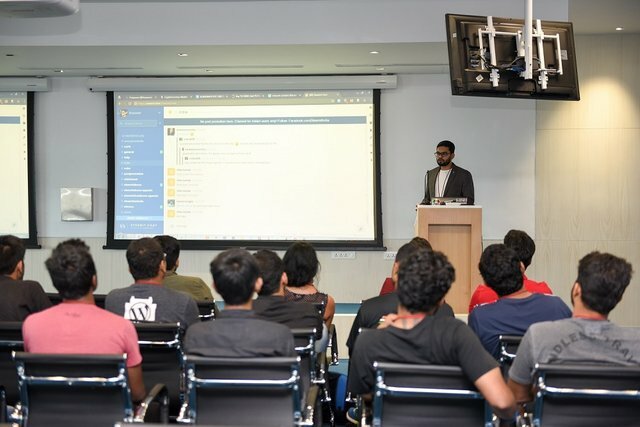 Successful #2 India Steemit Accelerator and Steem Cryptocurrency Meetup 2017 at Robert Bosch India HQ! 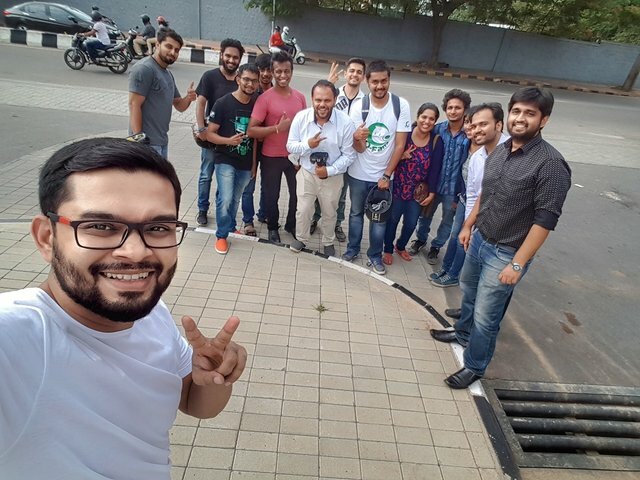 When the first India Steemit Accelerator took place in Mangalore, in June 2017, many Steemians from India wanted me to organize something in Bangalore, the IT hub of India. 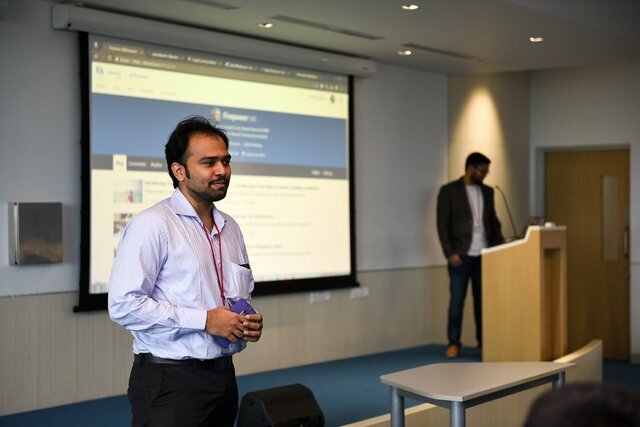 Finally on the 30th of July, the #2 India Steemit Accelerator took place at the Robert Bosch India Headquarters at Bangalore and over 30 people attended the program. This was special because of the association of this event with Bosch. It happened thanks to a friend who is a well known Industry analyst who connected me to Bosch as they seemed very interested in providing the venue for a such an event. It's true, having a solid network can make the difference between waiting on the sidelines and getting things done! Can you see the happiness on my face! 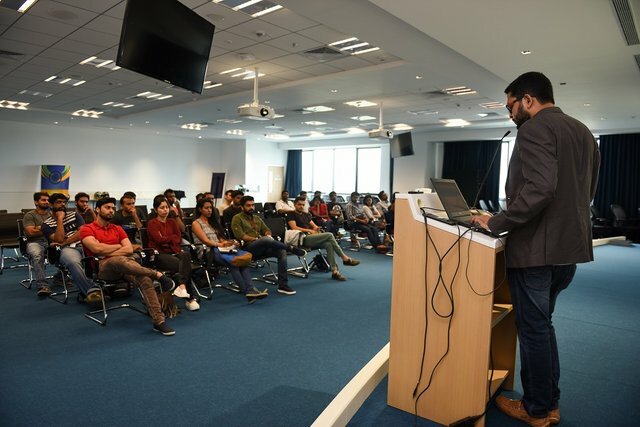 I wasn't expecting to get a conference venue at the premises of one of the biggest names from the world of engineering at a such an early stage of this project and was really happy to be speaking at this location! Dear Steemians! This event was fully funded with your support on my previous blogs! Successful #1 India Steemit Accelerator and Steem Cryptocurrency Meetup 2017! Press Coverage of #1 India Steemit Accelerator in Top Indian News Publications! 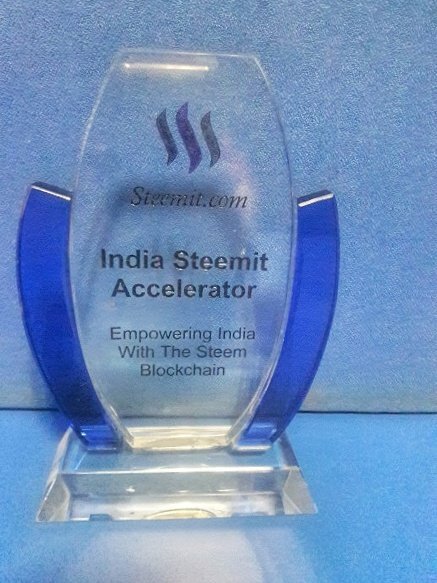 Create awareness and buzz about Steemit platform and Steem cryptocurrency amongst social media users and amongst the Indian media . Engage with existing users and help them better understand this platform. Onboarding of new users to the platform who can add value to the network and also derive great value from it over a period of time. Scale up onboarding to include influencers from across this region and make Steemit one of the most sought after social media platforms on the web for brands and users alike! My plan is to try and take Steemit to the masses and following is a quick coverage of the Bangalore event as it went down. Starting with a round of personal introductions, I discussed blockchain and Bitcoin before introducing Steemit.com to the audience. 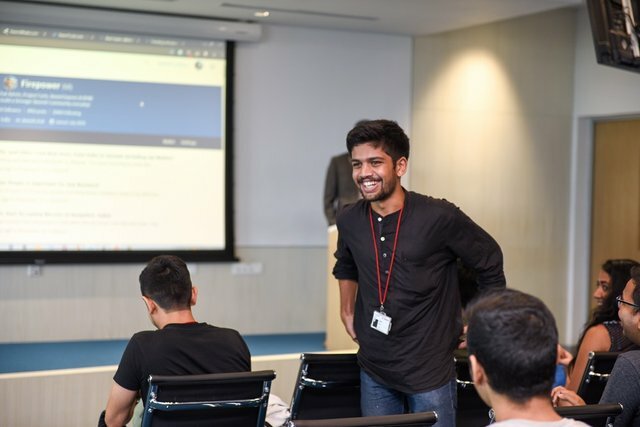 The audience included start-up founders, students, digital marketers, working professionals, members of Bosch's Blockchain team as well as the Bosch India head for Venture Capital and Startup Accelerator. @hardikv introducing himself and what he thinks about the Steemit platform. @rjsudeep talking about his first experience with Steem blockchain. @sanjayjkamath part of the blogger group The3HungryMen introducing himself. @nandan Is a young magican and enthusiastic about blogging! @awakeningartist is of the older members from India and is a fantastic artist who gave a nice introduction! @madnomad is a dear friend and hotelier! Some of the users like @hardikv and @vishalmukadam mentioned about why they like Steemit during their introductions. 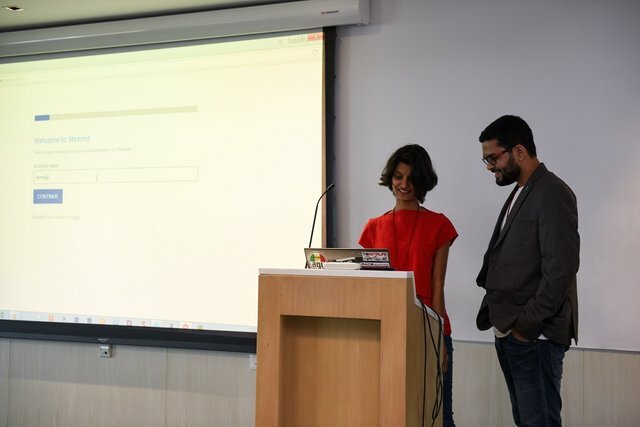 I helped @madnomad's friend Athmi create a new Steemit account during the presentation. This time around I used some descriptive videos on Blockchain, Bitcoin and Steemit to help everyone understand this new tech! The session was largely focused on Steemit platform and Steem cryptocurrency and this is the summary of what went down! Introduction to Blockchain, Bitcoin, Altcoins and Steemit. Account creation and importance of introductions for non-anon users. Creating/editing/formatting a post, markdown format, adding images and selecting rewards. How the upvote and downvote system works, and feature comparison with old social media platforms. Where does the 'money' come from? Strategies for gaining followers, importance of commenting. Dos an Dont's on Steemit including use of copyrighted materials. Steemit.Chat and best ways to use the platform. For existing members I also showed them how to use the Steem blockchain explorer Steemd and SteemDB. Features of your Steemit account, how the wallet page works and transferring Steem/SBD. Using Mobile App @esteem and attending @steemfest global conference and pictures from the 2016 event! How to use Blocktrades.us for quick exchanges and crypto trading platforms such as Bittrex. How to power up, power down and cash out. Tax planning from the Indian perspective. Many other aspects of Steemit were discussed! 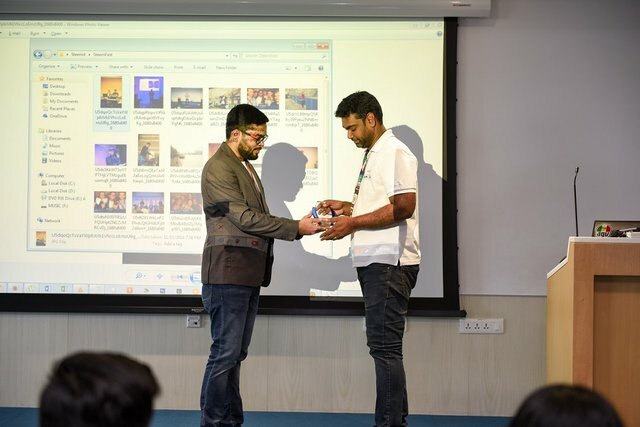 At the end of the presentation I gave a Steem memento to Bosch's India head for Venture Capital and Startup Accelerator who helped me put this together. He also spoke briefly about Bosch implementing blockchain technology in some of their projects. He was happy to learn about revolutionary new projects in the crypto space such as Steemit take shape as it can lead to many amazing things in the future. I engaged Chai Point to deliver some refreshments on the day. It was a bit expensive, but the food and beverages were very good and everyone enjoyed it. We had Banana cake, Cottage Cheese Tikka Sandwich and a choice between Apple and Cranberry Ice Teas. After the break for snacks and lunch, we came back to the conference room for QnAs. The event was originally planned for 2 hours but we started a bit late around 11.30AM as many were late to arrive and we finally closed it around 3.30PM. 2 hours longer than anticipated owing to a highly interactive QnA session. 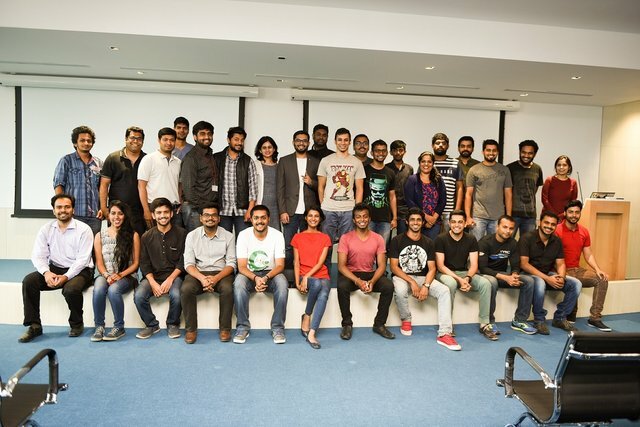 My journey to #2 India Steemit Accelerator Program at Banglore and event notes taken by me. Thanks to everyone who participated in the conference and made it a grand success! Steemit has the incredible potential to make dreams come true. I'm doing my part to help others achieve theirs through using this amazing platform! I plan on having a casual meetup in Bangalore in the upcoming weeks. 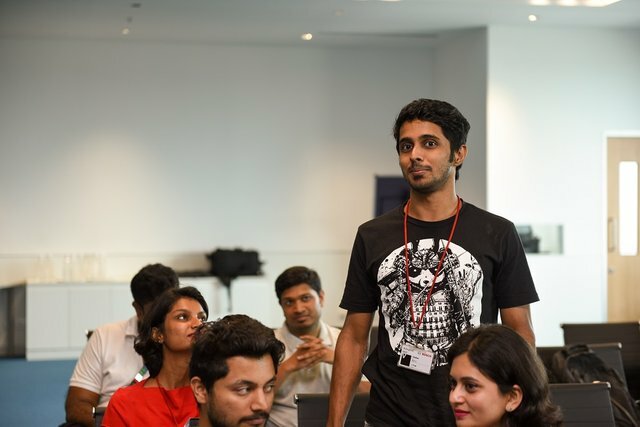 I'm working towards taking the accelerator event to Pune, Mumbai and New Delhi eventually. 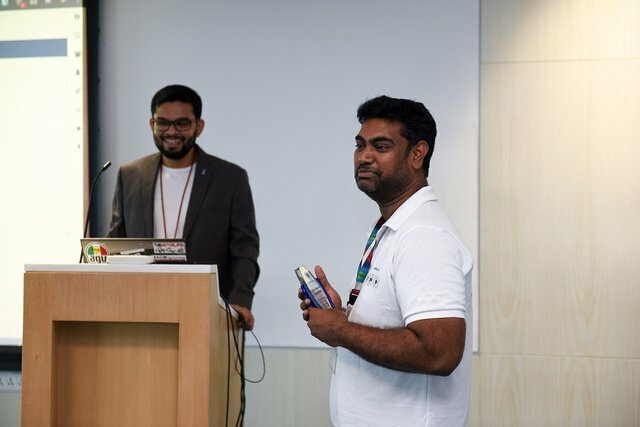 Bangalore event was feasible cost-wise but other cities may be more expensive to fund myself so I need to figure this out. Hopefully, I can keep this going and keep Steemit in the limelight, and assist in gaining mainstream adoption. Overall, the #2 event hit the nail on it's head and showed people how Steem crypto and blockchain technology could potentially change business in the social media space! It's always a fantastic feeling to see your close friends support you in your endeavors. 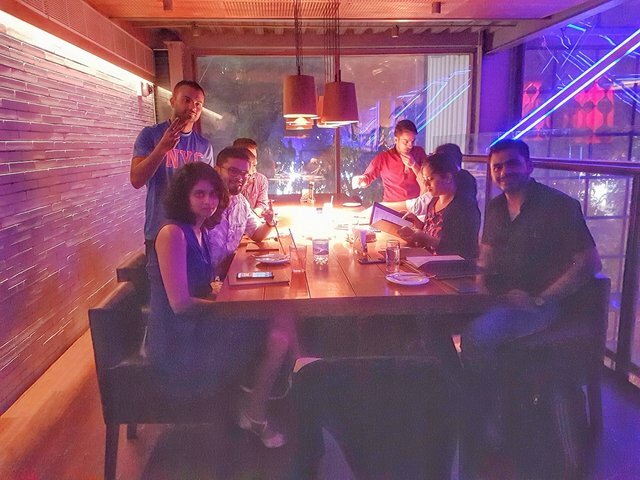 On that day I had some of my close friends in town and we decided to go out and celebrate the occasion at one of the coolest clubs in town; LOFT 38. 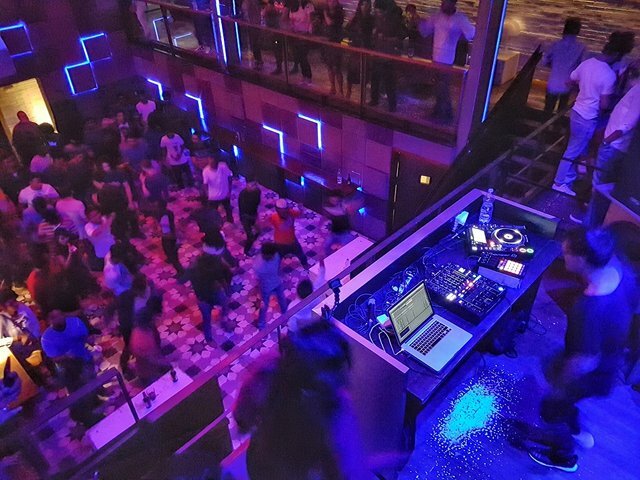 My former classmate is a popular DJ and was playing that night in the club, and it was great catching up with him after many years. We partied for a few hours before calling it a day. This weekend was undoubtedly one of the biggest highlights of the year and milestone in my life. We just Resteemed this post when you have some time @firepower please reach out to us in our http://Discord.me/adsactly and Follow us on Steemit! This is a great article, thanks for all the hard work on it and serving it up to Steemit. Thank you for mentioning me in your comment :) That's nice to see so many meetups happened across the globe. You are most welcome, you guys are doing great things to drive the adoption of steemit and make it a success in the long run! I want to invite you to a challenge my friend. it makes me happy if you like to find answer of my puzzle. 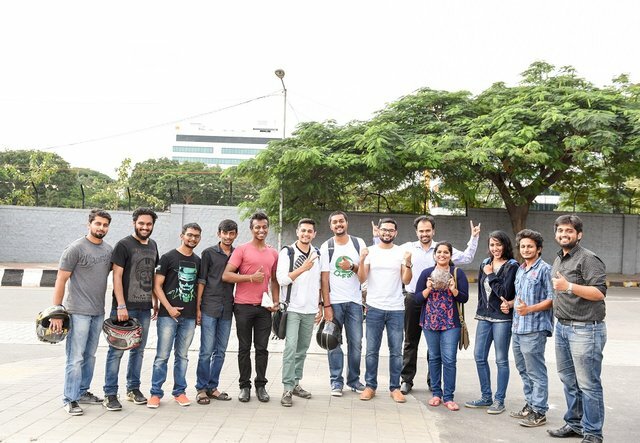 The India Steemit Accelerator meet in Bangalore was a great opportunity to meet some really cool people and discuss things with them. I got a deeper and better understanding of the platform. during the break we got to talk more among ourselves and get some more clarifications. @firepower! Any meetup in Pune ? This was a great event and I got to learn a lot. I wish I would have stayed for the afterparty @firepower, venue looks dope! Thanks for giving back to the #steemit community, and mentioning me in the post. The event was amazing had fun and a great time with you guys. All the best for all your future events and thanks for arranging it for us all, especially since it was sponsored/funded completely by yourself. Cheers..!! Hi my dear @firepower, again you made it possible because of your hard work and I am very proud of you my son..
@firepower this seems so great i am unfortunate to miss this event i would have loved to attend it but unfortunatley due to busy schedule i wasn't able to attent it. It had been so much informative and would have been helpfull for future at steemit and crypto marketing .. anyways i am looking for the next steemfest and hope i will attend that one..
Hello, nice posting, i like it and i have restem your write ..... i'm @mukhtar.juned from Aceh Indonesia, please give me the tricks for me to get a lotv upvote from steemiters world, I can not write because I am just an employee who daily just work on schedule from the company. Give me your advice so I can go forward like you, thank you. Thanks for introducing me to steemit. I had come to the event with no prior introduction to steemit. Event was very well organized. Got to know so many steemer's . The best part of the event were the jokes you cracked in between to make it more like an interactive session and the introductions . 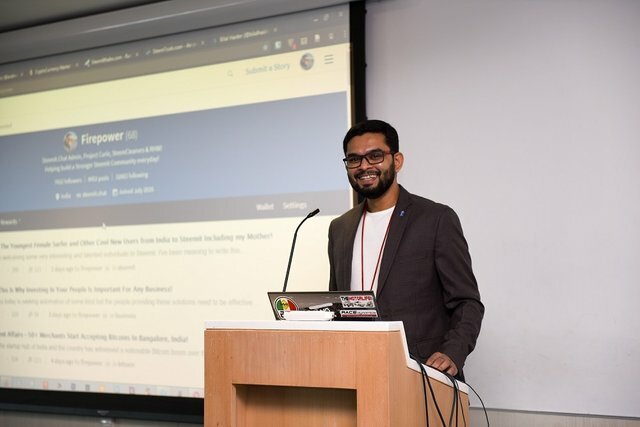 During the introductions I got to know how attached people are from steemit ,few of them had come from Pune just to attend the session .The videos you played were really helpful for a newbie to understand the overall picture of steemit. At last I would also like to appreciate the management of Borsh for supporting steemit as they made sure that the event goes smooth and becomes a success. Brilliant stuff! Hope to see many such events in India and around the world. the venue looks very professional! I wish we have one here, too! So what's the best layman answer when someone asks me where does money come from ? This is just amazing to see, different groups and cultures getting together to be involved with Steemit. And @firepower, you are doing an amazing job my friend. :) Resteem. Well done guys !!! India goes on to everyone! Excelling post indeed my friend..I referenced you on my latest post: Steemit: Poor People killer Or A Strategic Solution For All ? pls check it out. More success to you, and keep steeming. @firepower : Nice to see your efforts to promote steemit. I am in NCR so do let me know when u plan this event in Delhi. good stuff going on in India congrats Sir ! and the Banner you created looks master pro !! nice i like that Indian Flag! We need some Shiva Hindu Gods to promote steem! The new explosion of the cripto coin is in the air. I say this because all the cripto coins are less than half the price. This simply shows that we are now in a crisis. And any simple economic thinking says that after a period of crisis there is an increase. My advice is "invested in steem now". Buy Steem now ..... go on any exchange and buy Steem !!!! I promise you will be a happy man within 5 months. It does not matter how much you invest ... it's important to be a consecutive one. If you have 200 usd or euro that spends every month on things ... listen my advice !!!!! BUY STEEM !!!!!!!!!!! That is what we should do for all of us who are part of this community. Think a little ..... if each of us would buy 10 usd Steem that would be the price today ???? Multiply the number of Steemit users by 10. how many times do we spend 10 usd on anything ??? we need to do something.!!!!! I propose an exercise. From this moment we have 5 days to save $ 10. After 5 days, those who have saved $ 10 will all buy at once. For example at 20 o'clock Germany .. ok? Today we are on August 9th. On August 14 at 20 o'clock Germany we buy !!!!!! I will publish this article every day until the 14th and I promise to do this every day until we join. An incredible reward of steemit. AMAZING ARTICLE, REALLY LOVED THE READ. TO ONE AND ALL,IF YOU HAVE A SENSE OF HUMOUR WHICH IS RARE TODAY< COME AND BASK IN MY LITERACY GENIUS AND ONLY FOLLOW BECAUSE YOU APPRECIATE MY ART. Keep up the good work men.. please let me know when are you planning next meet may be we can do it in Pune or mumbai .. we will like to hear from expert like you . Awesome Idea. 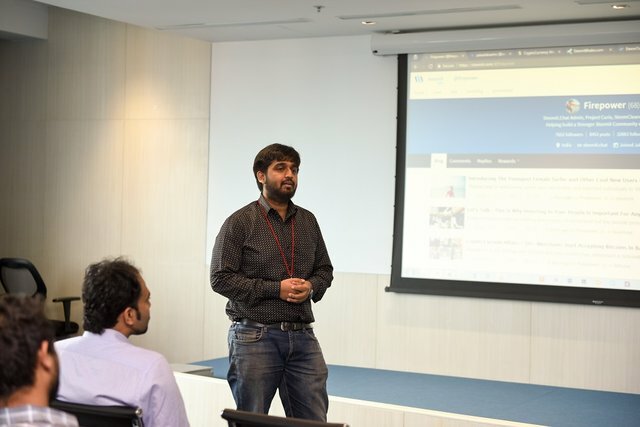 You can have the similar Steemit accelerator sessions in New Delhi. I can promote that session on Quora too where I have significant amount of following. 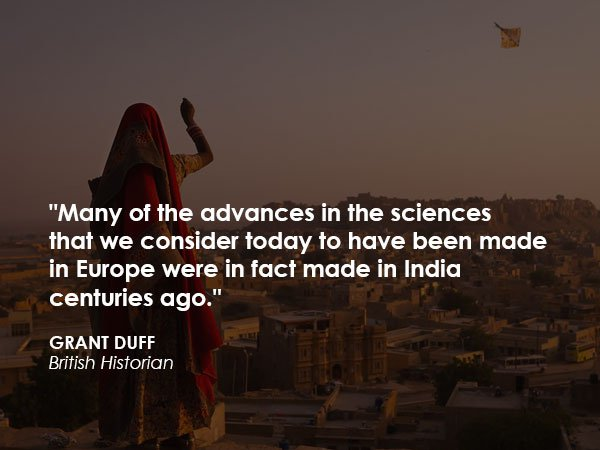 Steemit Accelerator Delhi or any North Indian Destination would be my favorite. I am excited!!! Let's Go Steemians! Glad to be part of the accelerator! It was fun to meet up with fellow steemians and overall it was a great interactive session! Promotion done right!! :D Loved the way you carried it out. This Post was Added to the Steemit Social Media Queue. Interesting post, keep it up. Resteemed followed all and in this thread and upvoted. I am from India. Wanted to participate in such events in future. Amazing post :) i love India and her culture :) i will wait for more post of you :) you wont a follower and my vote :) have a nice day. It's so cool to see people like you who try their best to spread the word about steemit so more people would be joining this amazing platform ! 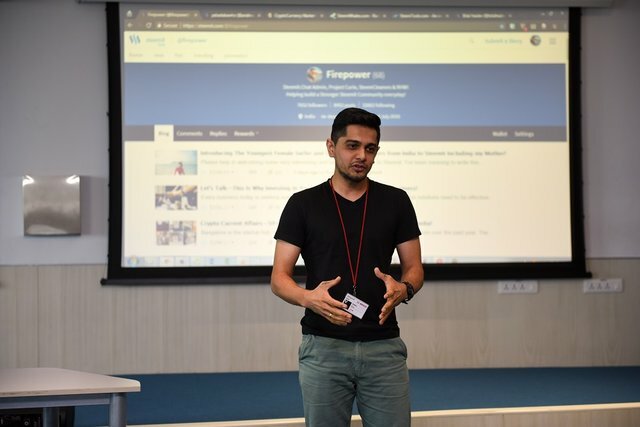 Congratulations for your successful meet-up @firepower cheers. 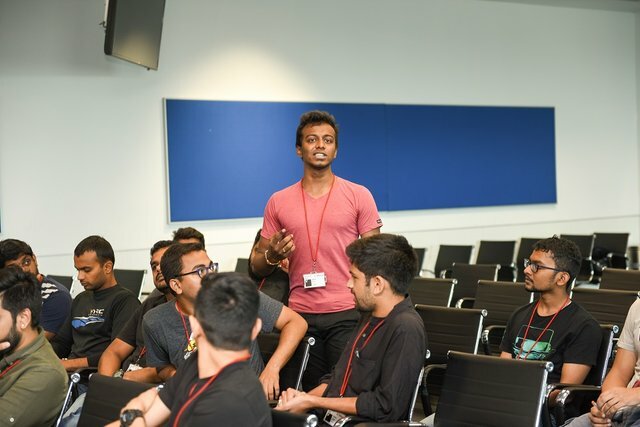 Looks like it was a great event.I'm looking forward to attending my first UK STEEM event. Upvoted. Followed. Resteemed. You're a legend. I'm grateful to see what a turn out you had and how grateful and happy you are as well. Resteemed and upvoted to the fullness! Keep on promoting Steemit in India. I am proud of you bro. Waiting for Steemit Accelerator in Kolkata. Well Steemit Accelerator Kolkata, Steemit Accelerator Delhi or any North Indian Destination would be my favorite. I am excited!!! Let's Go Steemians! Definitely crying for missing this !! Hope I can make up there for next Meetup !! 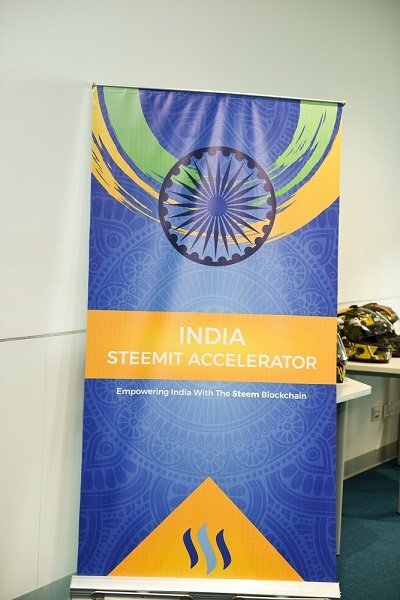 I am a proud Indian, glad to see a function of Steemit Accelerator I pray many more such Steemit Accelerator pray many more programs be conducted all over India. Thanks for sharing. You're DJ friend seems pretty cool! Looks like so much fun! Steem on! You are awesome! Wow. This is really great. Happy to see so many people from India to join Steemit. Will be waiting for next update on your session on Steemit programme. Hi IAM an Indian &to see the pics of India Steemit Accelerator,it was great. I have seen the international meet pics but in in India I was really proud of.i even wanted to resteemed it but the option was not available.how can I be a part of this. That's really huge, just congratulations for your success, you can be very proud of it, steeemit is growingand you contribute to it ! Thanks mate ! Congratualions and this seems awesome must have been a fantastic event. great to see all these meetings across the globe! Love seeing this platform grow and i'm glad to be a part of it when it is still in beta. I only started my account 6 days ago and have hardly made a dollar yet. But i am slowly gaining followers and beginning to figure out what kinds of things I want to post about. I'd love to see a meetup like this in Canada that i could go to and meet some steemit friends! Great post, keep up the great content firepower!! What a wonderful and well-organized event it looks like! Good snaps as well. Keep Steeming and spreading the awareness... Upvoted, and Followed. It's really a great news for Indians that people have started to gather for the Steemit community and started to spread awareness about cryptocurrency trade in India. Congrats for this achievement! @firepower! Congratulations. Great job putting this together and thanks for sharing the information and pictures with us. It looks like a great gathering. That's the way steem should go. The growth of steemit in the "developing world" markets is so fascinating to watch. Efforts like yours here are great and the massive turnout that you are getting here (and others elsewhere) is really painting the picture of a bright future for this platform, and all who are currently invested. I wish that we could get this sort of enthusiasm from the Boston (USA) market. You are setting the bar so very high. i will give you the numbers more than a hundred on that historic success . Great stuff here FP. I am happy to see the Steemit moving gaining....steam...;)....all over the globe. Now here in the US people need to get their crypto act together, from a regulation perspective. It would have been easier for me to swim from NJ to India than convert and get my hands on Bitcoin and USD...tried about 10 methods, running into obstacles and dead ends every time. I will keep making buddies, sharing content and enjoying the ride of meeting awesome folks. I super love it! We're also doing it here but this seems to be refined! Perfect content and I love the way how you guys organized this event. That's the initiative required in India. Things like Steem seems to happen rarely here, and people still prefer more used form of social media platforms. Their is a need to explain the huge benefits of using platforms like Steem, promoting it and improving it regularly. And I really wish that this initiative grow into a massive success. This is an absolute idea and executed perfectly. Wish I could participate in such events in future. That looks like a great event. I really liked the content. But if you got 30 people in Bangalore I am guessing it may be me and the crickets in Jamnagar!